Apologies. We have had the lurgies. And hence the exciting 2014 regular posting phenomenon has gone a bit down the tubes, after lasting for all of about a fortnight. The Queen got sick and then kindly shared her bug with three of the four grown-ups in the house. BytheSea had the Daddy Bear version, involving treatment with antibiotics, I have had a Mummy Bear attack which has merely confined me to bed for four days, and the Vicar has had the Baby Bear lurgies and has felt terrible but still managed to lead a massive funeral and attend a 2 1/2 hr school governors meeting midweek plus all his normal vicaring duties. Anyway, I’m pleased to report that we’re on the mend and I’m able to have a small blogging catch-up. FIRST: The winner of the caption competition – randomly generated as I found it too hard to choose – is Shaun. Please email me at thevicarswifey [at] gmail [dot] com to claim your prize of an e-book of The Ministry of a Messy House. SECOND: Book news: The Vicar reviewed my book (I’m relieved to say that he liked it) – and Claire Musters posted her review on Christian Today (she seemed to understand the writing process in the Vicarage perfectly). THIRD: Ace apps – I’ve been meaning to mention a couple of excellent free apps – the Bible App for Kids and PrayerMate for iPad/iPhone and Android (free until the end of March courtesy of London City Mission). My kids are a little on the big side for the Bible App but they have enjoyed noodling about with it. It looks like a fun way to get kids familiar with bible stories. Recommended for ages 3-8. 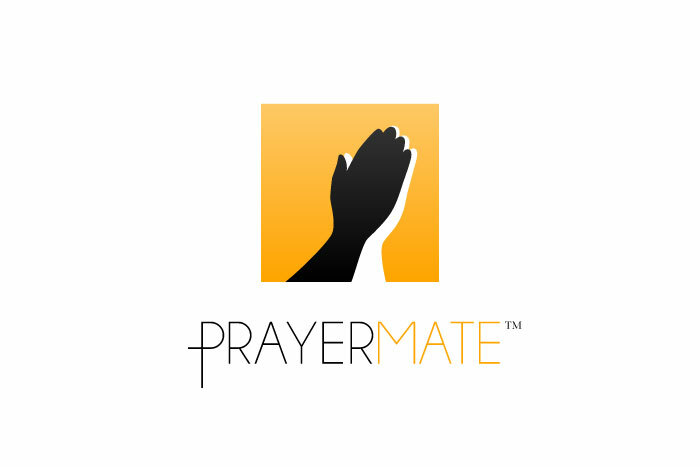 And PrayerMate is a truly excellent way to order all your regular intercessions. Over the years I have used various versions of prayer lists and abandoned/lost them pretty regularly. PrayerMate is a superb app which enables me to keep my list fresh and has some whizzy features like alarms and prayer diaries from mission societies (all in iOS, some still to come in Android). FOURTH: I have come across a couple of interesting programmes on Alba – the Gaelic language BBC service which we can get on iPlayer. There’s a gentle series about ministers’ wives in Scotland (Bean a’ Mhinisteir) and tonight we’re going to watch Reaching Out with Hope (Na Soisgeulaich) which is about three evangelical churches in Scotland reaching out to their communities, including Niddrie Community Church, led by Mez McConnell of 20Schemes. Two of our children have Gaelic names, but that’s the extent of my knowledge, but it’s okay – the programmes are subtitled in English. If you email your postal address to thevicarswifey AT gmail DOT com, I shall package your book and send it out asap. Probably tomorrow, as I am away for the day today. If you didn’t win but still want a copy, ThinkIVP (my publisher’s bookshop) has the best price, but you can also get the book at Amazon, 10ofthose and The Good Book Company if that’s more convenient for you. Also available as an e-book, including a Kindle version, if you want to start reading immediately! Jackie and Hannah’s were the names picked out by the Queen from the scrunched up pieces of paper I held in my hand this evening. Last two names in the competition were the first two chosen. 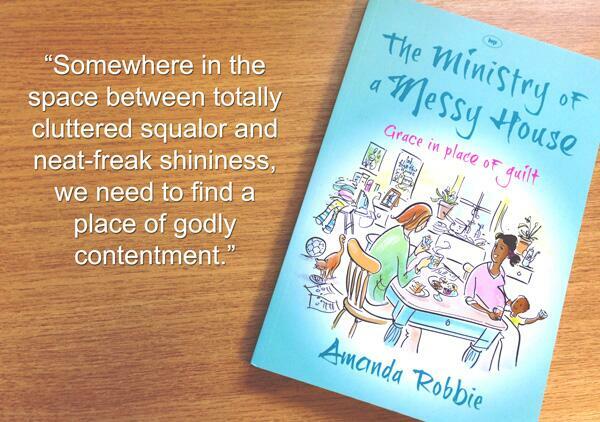 I shall email you a code for you to collect your free e-book of The Ministry of a Messy House! Thanks to everyone for the excellent descriptions of messy areas in their houses. Enter your email address to subscribe to this blog and receive notifications of new posts by email. Become a Vicarage regular!